One of the first things I learned that made me aware that, in spite of what the doctors were telling me (it is genetic), there was something significantly wrong in my body for me to have cancer. My blood work had always come back normal with no major red flags from the doctors. I ate well and took care of myself physically and emotionally. I couldn’t imagine that my “healthy” body would succumb to cancer. First thing I have to say – ALWAYS GET A COPY OF YOUR BLOOD WORK! My first moment of discovery was on the phone during a consult with a blood chemistry specialist who analyzed my blood and informed me that my blood says I am not well and there were signs of disease years before my diagnosis. She spouted off a number of concerns and I tried to write them all down. She told me that there was a toxin in my body and I needed to find out what it was. She also told me to take a lot more of the supplements I was already taking along with enzymes. The enzymes helped a lot but I didn’t feel like taking more supplements was the answer. Thankfully I found Advance Nutrition in Langhorne, PA where I was able to get my blood analyzed again (via computer program) as well as a reading of my body (via Spectravision Bodyscan) which outlined what the problems were. The story goes on from there as this was the true start of my healing. What I am sharing with you here is what I learned from the blood work analysis that was computer generated. It says what the blood chemist was telling me verbatim on the phone but this was printed along with the ranges and explanations of the areas that were outside of the optimal metabolic ranges. What I learned is there is a BIG difference between the ranges the doctors consider healthy and what a person in the nutrition field considers healthy. One is called Laboratory Ranges and the other is called Optimal Metabolic Ranges. Most of my blood work numbers fell in the Laboratory Ranges but NOT in the Optimal Metabolic Ranges. I was NOT well according to the Nutritionist (of course not, I had cancer) but she was able to tell me what was happening in my body, something the traditional doctors could not do. 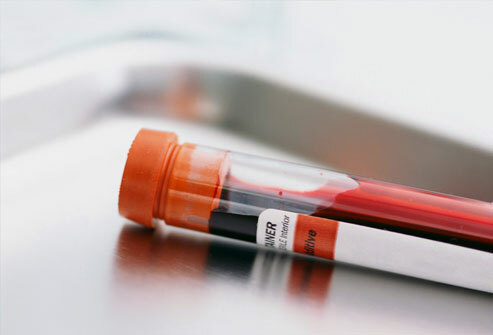 I was amazed by the information that my blood work contained. I was told that healthy blood does not breed cancer. It was disturbing yet a relief to see that my blood work was a bit of a mess. At least I had a measure. I had something I could work to improve rather than just curse my genetics. Below is the chart of ranges for your reference. I had cancer when my blood work was taken and I had issues which I imagine might be typical with a person who has cancer (see below). Chances are if you have cancer you also have inflammation, a weakened immune function, nutritional deficiencies/malnutrition, parasites, toxicity, fungus, anemia and weakened digestion and other functions. I believe that one problem in the body perpetuates and causes a number of issues which ultimately leads to cancer. In my case I was told that pesticides were the major toxin along with the fact that my ICV (Ileocecial Valve) was stuck open. This causes undigested food to enter my blood stream which causes inflammation. The inflammation caused a weakened immune function. The weakened immune system allowed fungus and parasites to take over. The parasites and fungus robbed nutrients from me and caused malnutrition. My other systems were then stressed. The pesticide poisoning in my breast then developed into cancer. This is just what I have surmised based on what I have learned. It may or may not be accurate but it feels good to have come up with a theory.